In order to "cover up their follies and repeated mistakes", many government and private educational institutions in the valley are barring students from appearing in the annual matriculation exams. On the name of conducting ‘Golden Exams’ the students are being deprived of their basic right to participate in the annual exams. Every year these ‘Golden Exams’ are conducted in almost every educational institute of the valley in order to protect the ‘name and fame’ of the schools. From past many years this practice is being held in every school with an aim to distinguish between the students as to who is better as studies than the rest. The students who pass these exams with a good or average percentage of marks are given the roll number slips to take part in the annual exams and the rest are forced to withdraw their discharge certificates from the school, thus flouting the government orders from time to time. On 25 August 2012, Tanveer Singh, 16, who was studying in class 10th of Baramullah Public School, was beaten by a teacher and according to his family the school was pressurizing the student not to participate in the annual exams for being and an ‘under-performer’. The step, a first of its kind forced Tanveer singh to jump from the second floor of his school. The boy was immediately shifted to Baramulla Hospital where from he was referred to Bone and Joint Hospital Srinagar and later on to SKIMS Soura, Srinagar. The boy breathed his last yesterday and the teacher who was allegedly harassing the student has also been arrested by the police. “The school was not allowing him to participate in the annual matriculation exams following which my son took this harsh step and ended his life. This trend must end,” said Kulbir singh, the father of the deceased student. The incident has removed the curtains over this blind trend being followed by the schools, and according to the sources in the educational department, the department is mulling to take serious action against the schools that are breaking the ‘rules and regulations’. Though for years the trend remained attached to the private schools only but, the government run high schools are also participating in the race this time. With an aim to achieve 100 percent results in the annual matriculation exams, reports say that many students have been asked to withdraw their certificates from the school after they failed to qualify the ‘Golden Exams’. As per the inputs coming in from various private schools of the valley the ‘Golden exams’ have been conducted in many of the institutions recently and in some schools the exams are going on. “Irony is that the schools who preach high about ‘education to all’ are also practicing this trend. 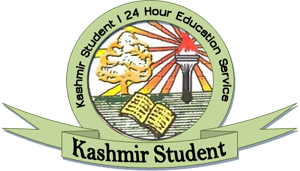 Many of the reputed educational institutions of the valley conduct these exams every year and they are the ones responsible for making this practice famous,” said Nasir Ahmed a local resident of uptown Srinagar. From past decade the government run institutions in the valley have a reputation of not even achieving the 30 percent results in the annual exams. Surprisingly many reputed private institutions of the valley are also indulging into the same practice. From last few weeks press colony witnessed large protest demonstrations by those students who were the fresh victims of this routine tradition. Students hailing from different High Schools of the valley levelled the same allegations against their headmasters and principals. The protesters, who are mostly studying in the 10th standard, alleged that their headmasters are ‘Exerting Pressure’ on them to withdraw dc’s from the school in order to get 100 percent result in the coming matriculation examinations. 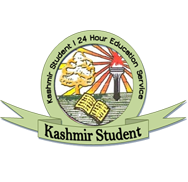 Two years ago, the then Director Education Shagufta Parveen, issued a circular to all the Government and Private High and Higher Secondary institutions. The order states that “It has come to the notice that some of the heads of the High and Higher secondary institutions including private ones, who go for large scale detention in 10th and 12th classes, debarring students from appearing in examination, manipulate percentage of results. This practice results into huge wastage of time and efforts on the part of this department. Preventing students from appearing as regular students in Board examination is a gross violation rules and needs to be checked at all levels”. It further states that “All the heads of the High and Higher Secondary institutions (Govt/Private) shall ensure strict adherence to these instructions. Any declaration on the part of these heads will be seriously taken note of and dealt with accordingly”. However, Director Education Muhammad Shafi Rather vehemently favoured the idea of conducting such exams in the schools and said the move has helped to stop the grave number of suicide cases happening once the annual results come out. “Though the practice is violation of the government but I think it’s necessary to take such type of measures in advance. Once you note that a student is an under-performer he or she can do extra hard work and get prepared himself for the private exams,” Rather said. “On government level we make rules everyday but, we cannot interfere in the affairs of the private schools,” he said. He said his department has also made it mandatory for the heads of all the government institutions to ensure 100 percent results in any annual exams. “If we record poor performance by any school in matriculation exams, then we will not give any kind of increments to the heads of those institutions,” he added.